Grandma and Grandpa take 14-year-old cousins to this classic southern California family resort and say that being together has never been more fun. Anticipating the excitement of sharing special moments together, we set out with our granddaughters, Tatum and Casey, to the Rancho Bernardo Inn, the legendary oasis in San Diego North County. During our drive from Los Angeles, we shared stories, told secrets, chatted and giggled, and in no time at all we were pulling up to the beautiful sprawling Inn, thrilled to embark on our very own family adventure. The Inn turned out to be the perfect homebase for exactly what we had planned. The 265-acre property features 287 newly upgraded luxury guestrooms and 15 suites (each with a private balcony or patio), a 42-inch flat-screen television, and wireless internet access. We had adjoining rooms; ours with a king bed and the girls with double queens. Both were extremely spacious with plenty of drawers and closets, and a great bathroom with a tub and shower. Comfy robes were available for our use. We took part in the Inn’s “Kids Rule-Parents Drool!” package, that’s available every summer. The package gives kids and parents and grandparents the opportunity to participate in a variety of fun activities suitable for all energies. For kids 12 and under there’s free breakfast, lunch and dinner at the Veranda, pastry at CafÃ© Granada, a manicure or pedicure at the spa, rounds of golf and family golf games, dive-in movies, Wii lounge, and much more. We made it a point to try something that we normally don’t do. One morning, to start our day feeling energized, we chose to do Family-Morning Yoga at the Spa. Yoga is said to calm the nerves and balance the body, mind and spirit. It also helps kids develop better body awareness, self-control, flexibility and coordination. After the session we all enjoyed a fruit smoothie. Another morning we joined guests on the putting green for a fun family mini-putting golf game, and then the four of us were off to the driving range where we got to tee off with some professional help from Matt, a wonderful, kind and patient golf associate. Range tokens were available from the pro shop for some more afternoon practice. Througout the day, we took advantage of the beautiful weather by spending time in and around the resort’s two shimmering pools. Next, we took time for some art and culture by following the path of the Inn’s 21 distinctive fountains, 11 of which are showcased in a self-guided tour. We picked up the Fountain Tour booklet at the front desk, and followed the artfully selected and carefully placed fountains throughout the resort’s beautiful gardens and gained insight into the Inn’s history and the importance of traditions. A wonderful afternoon was spent close by at the Wild Animal Park. Before heading out we grabbed a picnic lunch from CafÃ© Granada and we had our choice of sandwiches piled high with hazelnut butter and raspberry jam, peanut butter and jelly, chicken salad and turkey, along with seasoned fresh fruit, bottled water, and yummy house-made cookies. At the Park, which contains more endangered species than any other similar facility in the US, we were amazed by the animals in the acres of open space habitats. Taking the adventure a step further, we toured on the park train. 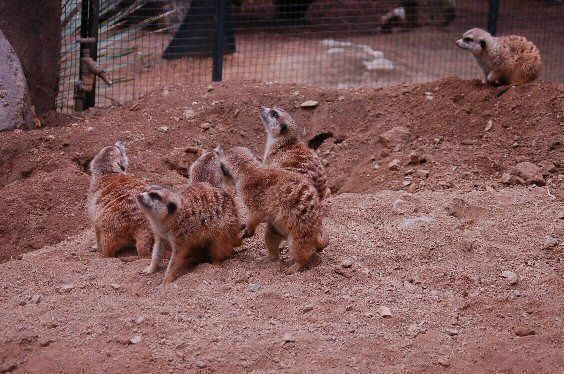 We couldn’t tear ourselves away from observing the three baby cheetahs that were just born, and also the meerkat exhibit which is always fascinating. Two special experiences, “Flightline,” a new zip-line adventure that lets you soar like a California condor over the wildlife conservation park, and “Mule Ride” where you can experience the backcountry trails of the park, are now featured for the older kids. Discounted admission tickets to the Park are available through the Inn, however, they recommend that guests give the front desk or concierge at least a day’s notice. The girls were whisked off by the Inn’s staff to join the fun and test their skills at the Wii Lounge that’s available for kids 5 and over. After some practice (and lots of giggling) they became adept at Guitar Hero, Super Smash Bro. Brawl, and “busted a move” with Dance Dance Revolution. After their workout, they were rewarded with ice cream bars and snacks including popcorn and cotton candy. The Saturday Dive-in Movie made for a wonderful night under the stars of the Santiago pool for all of us. The girls enjoyed gliding along in their rafts, while we grabbed lounge chairs. Milkshakes, popcorn and lemonade were available during the fun movie on the big screen. The evening kept going on with s’mores at the Santiago fire pit. With or without the Kids Rule package, there is plenty to do in and around the Inn to make a great family vacation. The 2,500-square-foot Spa at Rancho Bernardo Inn features treatments in an outdoor garden oasis with views over the saline spa pool. The Fitness Center is a state-of-the-art workout facility, and the Inn’s renowned 18-hole championship golf course has been recently renovated to present challenging and rewarding play to golfers of all skills. Wonderful dining venues exist for families to relax and reconnect. Veranda is a rustic, elegant brasserie with French country charm, where we had the choice to dine indoors or out while enjoying fantastic views of the golf course. For the adults, continental cuisine was featured, and kids’ favorites were available for the younger set. On the Veranda ‘s Buena Vista Terrace, Rancho Bernardo Inn’s famous “Taste of San Sebastian Buffet” was inspired by Spain’s culinary epicenter that is San Sebastian. Rancho Bernardo Inn’s Chef Canepari has created a menu that embraces his passion for food. For adults, the evening is made complete with the Inn’s house-made White and Red Sangria. CafÃ© Granada, the source of our picnic located just off the lobby, is perfect for a quick breakfast or lunch on the go. For an adults’ romantic dinner, El Bizocho is Rancho Bernardo Inn’s fine dining formal restaurant top-rated by Zagat. The menu offers haute cuisine using locally grown organic produce and the restaurant boasts an extensive wine list. An exceptional Brunch is served on Sundays. The dates for the popular “Kids Rule- Parent’s Drool” package for 2010 are June 19 through September 13, and can be booked at the time reservations are made or on arrival. Just ask for the “Kids Rule” Package, which reflects a savings for families by bundling in so many free activities and meals. The nearest airports are McClellan Palomar Airport/Carlsbad and San Diego International Airport/Lindbergh Field, and, it’s a beautiful drive from Los Angeles International Airport. Locally, it is easily accessible from I-5 and I-15. 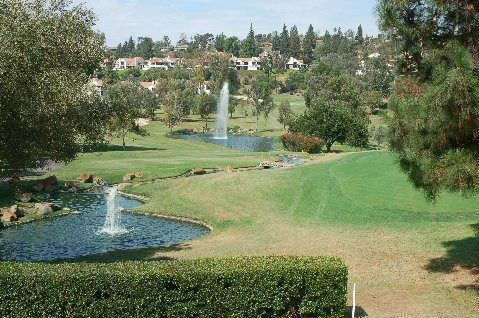 The resort is conveniently located within 30 minutes of most of San Diego’s popular family attractions. The San Diego Zoo is home to more than 4,000 animals representing 800 species. Be sure to visit the amazing new Elephant Odyssey. SeaWorld is a place to appreciate some of the ocean’s most fascinating animals, and is known for spectacular shows, interactive attractions, aquariums and rides for all ages. As we started our drive home we had only the fondest memories of the Inn and our adventure to chat about. Along with lots of photos, everyone’s journal will include the trip’s most candid and often most hilarious moments. All-in-all an extremely memorable experience. The girls want to go back with their families.